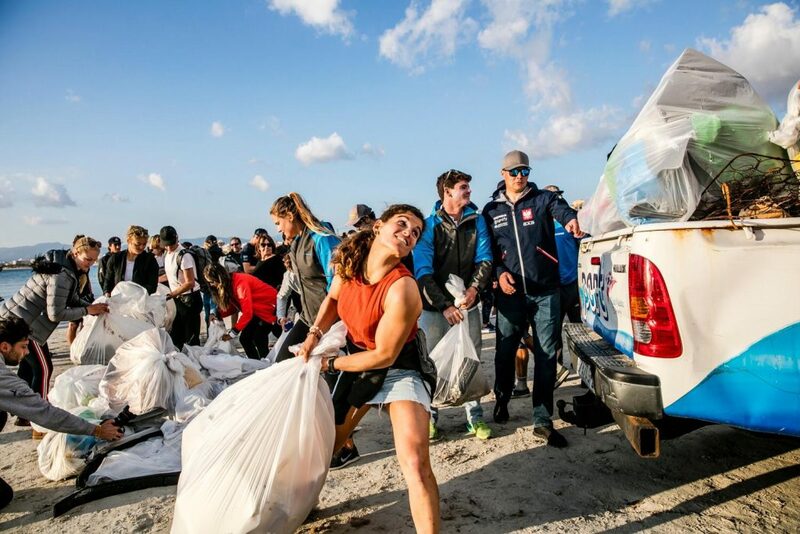 Olympic sailors taking part in the 50th edition of the Trofeo SAR Princesa Sofía Iberostar carried out on Thursday a beach clean at Arenal and Can Pastilla beaches to makes their colleague sailors and citizens aware of the importance of keeping natural areas free of debris. Five young sailors have been the supporters of this initiative which is known as #Sailors4TheSea. 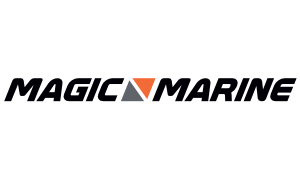 Yago Lange (Argentina), Iago López-Marra (Spain), Hannah Mills (Great Britain), Kahena Kunze (Brazil), Martine Grael (Brazil) and Atlantic Brugman (USA) have been the ambassadors of a movement which, according to Lange “is global”. 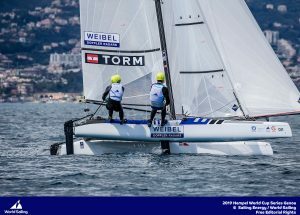 The Argentinian Sailor, who was Olympic diploma at the Rio 2016 Olympics, assures “plastics are the main problem at sea”. “This has been a good action. 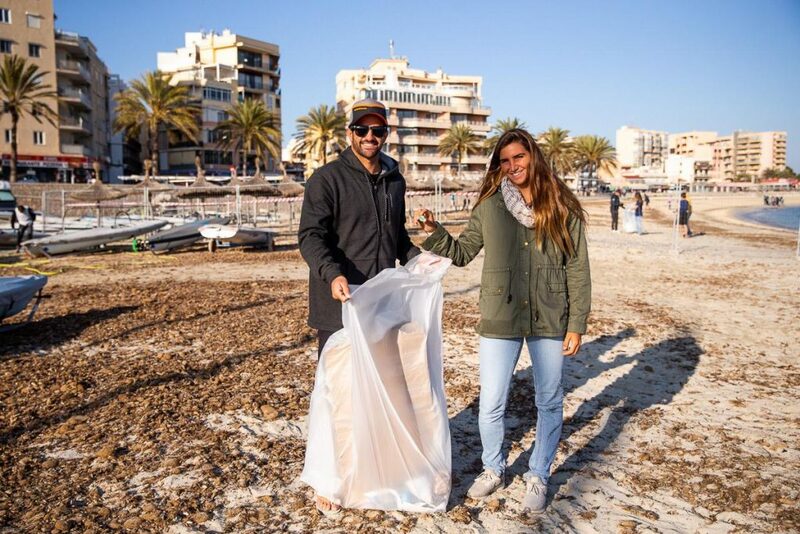 We have gathered a lot of people and it is nice to see that there is general awareness, but the real help is to be respectful with the environment every day, take care of it and make sure that our beaches, coasts and seas are clean”. 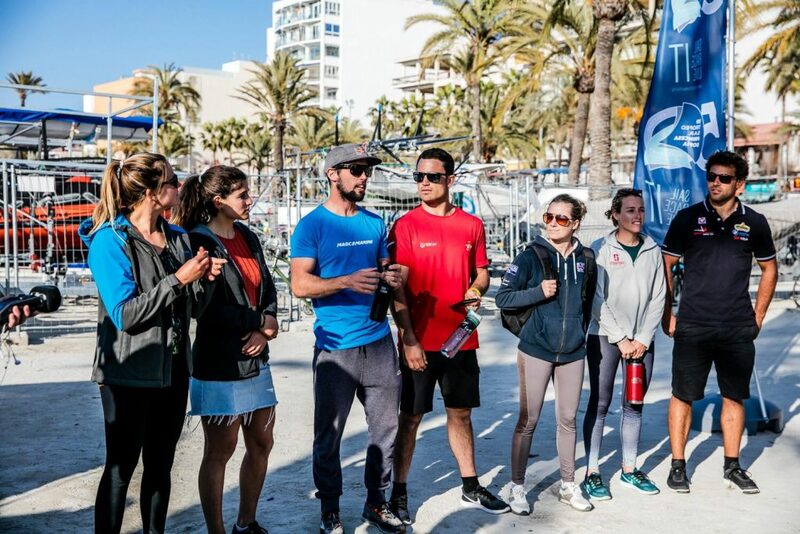 Spanish sailor Iago López-Marra, Diego Botín’s crew in the 49er class, has thanked the effort of his colleagues and the support shown by the organisers of the Trofeo Princesa Sofía Iberostar, providing means and promoting this event. “We only have one planet and it is our obligation to take care of it”. If everyone keeps its small area ashore clean, we will all together achieve the goal of not polluting our sea any longer”, he said. 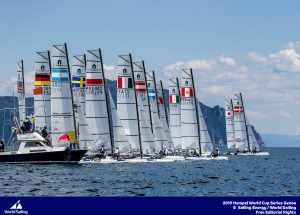 The beach of Arenal has gathered around a hundred sailors, with Olympic sailors, Sofia Iberostar staff and members of the Club Nautic s’Arenal sailing school. 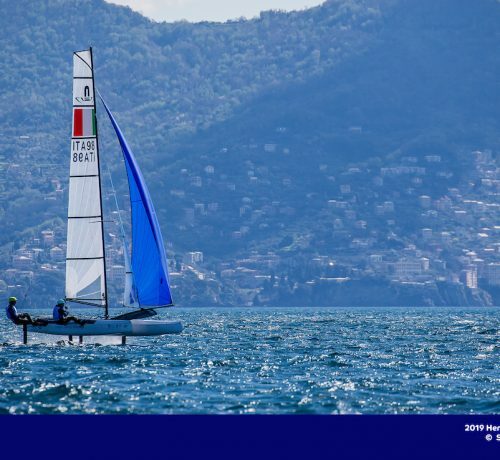 The same action has also taken place at Club Marítimo San Antonio de la Playa by another group of around one hundred people, with attendance of sailors from Can Pastilla and Real Club Náutico de Palma sailing teams. This beach clean is part of the sustainability programme undertaken by the Sofia Iberostar in this 50th anniversary edition and which follows the initiative Wave of Change by Iberostar, the main sponsor of the event that will see the first races starting on Friday for the cruisers and one design and on Monday for the ten Olympic classes. Organised by Club Nàutic S’Arenal, Club Marítimo San Antonio de la Playa, Real Club Náutico de Palma and the Balearic and Spanish sailing federations, the 50th Trofeo Princesa Sofía Iberostar is sponsored by Iberostar and has the Govern de les Illes Balears and the Consell de Mallorca as institutional sponsors. The collaborators are Trasmediterránea, Europcar and Marine Pool as well as Palma and Llucmajor City Councils and Ports de Balears.